to promote the introduction of “good practices“ in the activities of governmental institutions and public organizations. LPI’s activities include writing of соncepts and strategies; carrying out researches and analyses; publishing articles and scientific reports; as well as organizing seminars and conferences on a national and an international level. 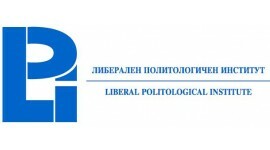 LPI is committed, by attracting and supporting development and realization of bright and talented young professionals in the field of humanitarian sciences, such as politologists, sociologists, and economists, gradually to establish itself as a trustworthy institution in the field of political ideas. LPI has realized many projects and initiatives for the development of the civil society and for the promoting of the effective political dialogue. The main experience of LPI is focused in the political marketing and campaign management researches and practices.